The University of Cambridge (United Kingdom) is rich in history - its famous Colleges and University buildings attract visitors from all over the world. But the University's museums and collections also hold many treasures which give an exciting insight into some of the scholarly activities, both past and present, of the University's academics and students. The University of Cambridge is one of the oldest universities in the world and one of the largest in the United Kingdom. Its reputation for outstanding academic achievement is known world-wide and reflects the intellectual achievement of its students, as well as the world-class original research carried out by the staff of the University and the Colleges. Its reputation is endorsed by the Quality Assurance Agency and by other external reviewers of learning and teaching, such as External Examiners. These high standards are the result of both the learning opportunities offered at Cambridge and by its extensive resources, including libraries, museums and other collections. Teaching consists not only of lectures, seminars and practical classes led by people who are world experts in their field, but also more personalised teaching arranged through the Colleges. Many opportunities exist for students to interact with scholars of all levels, both formally and informally. Each College is an independent institution with its own property and income. The Colleges appoint their own staff and are responsible for selecting students, in accordance with University regulations. The teaching of students is shared between the Colleges and University departments. Degrees are awarded by the University. Within each College, staff and students of all disciplines are brought together. This cross-fertilisation has encouraged the free exchange of ideas which has led to the creation of a number of new companies. Trinity and St John's have also established science parks, providing facilities for start-ups, and making a significant contribution to the identification of Cambridge as a centre of innovation and technology. In addition to the collections on display in the University's libraries & museums, there is a wealth of sporting and cultural activity at the University of Cambridge, much of it organised by individual clubs and societies run by staff and students. Although the University does not offer courses in the creative arts or sport, there is a strong tradition of achievement in these fields, with many former students going on to gain international standing as artists, performers and athletes. Initiatives ensure that aspiring performers enrich their education with a high level of activity outside the lecture. My lovely wife, My good son and I went to Los Angeles some of weeks later to hitch my Bien, my sister and Dan, my brother and some of my nephews and niece for the celebration of the 80th birthday of my mother Carolina. Special, that is the treatment of all of the mothers, and of course I treat my mothers, Carolina special too. My mother Carolina features a few things going for her that sort of sets her with the exclusion of entire destructive same us. Carolina is a good Dean in a School. She titled a master's degree in public teaching administrator and a doctorate in education. As advantage would have it, but, her whole 20-year career in teaching was used up with the Department of Education, to begin with the bureau of Public Schools and afterward with the Bureau of Higher Education. On account of my mother, my siblings and I may know how to read and right in especially in English before we were in first grade. We really love reading because when vacation begins, my mother would allow us to search different books through the library of the Department of School where she used to work, and read anything we want to. Our mother's affection for teaching infused us a love of acquiring information. My Mother started her school in 1949 when she was 7 years old, the system of education of the Americans had established. The system for all Philippine Schools in the past was the Department of Public Instruction. My Mother is a part of the last Secondary School graduating class before World War II came out. If the opportunity came up, my mother together with me have a good deal on the state of the Philippine education ever since. She finds it significantly awfully that lecturers nowadays no longer relish the apprise that communities awarded upon them throughout her time. However, turning into a teacher then was a major career alternative that brought one honor to the clan. My mother said that she was allowed to lecture grade school youngsters when she done 7th grade. Which acquired us to a different topic: the essential education cycle. I directed my mother that we have fortunately agitated for a shift to the preschool to 12th Basic Education cycle from the current 10 year one. She did not notice that stunning. Allegedly, she went through eleven years of basic education prior she visited National academics school for her bachelor’s degree in education succeeding after war. From the means she described explained it, their grade faculty curriculum was currently here close to as clogged as it is now. Nevertheless, behind Grade seven, those hoping to get on to secondary school required to get an testing exam, that she said was a little tight. "Not everyone may continue to secondary school, even on college," my mother said. Carolina remembers that the exchange to a additional crammed learning tool began to start throughout the year of martial law. Because of the implementation of presidential degrees, Ferdinand Marcos made the Department of Education and Culture that then became the Ministry of Education and Culture, and eventually the Ministry of Education, Culture and Sports. I call upon my mother that my analysis turned me that the whole curriculum was in line with the stated augmentation achievement of the so-called New Society. She verified that different directives given by the education minister to them was too much. Carolina continues that packing too several factors to soak up is rarely a decent thing for those who wants to learn. "How can the kids to broad their knowledge when he or she has a little time to know the ideas and concepts being directed by the teacher? If they don't have time in reading or knowing the fundamentals, how they can excel?" Carolina said. for example, the multiplication table. You must already aware of it by rote thus you don't need to stop and calculate, she said. They instance, you will be able to learning math techniques being involved by easy arithmetic. This is the same for reading. My mother always telling me that one can solely improve at reading if you always practice it, and it doesn’t have expiration in learning stuff to well. I bear in mind that once we were kids, my mother always scans a book for us, having the time in justifying words. A bit of later, she would request to read the book aloud gently encouraging us on after we had hassle saying long written words. But we always have an argue on which language to be used for learning procedures. Multilingual Education is mostly our mother's tongue. On the other hand, we starting learning English when we were in 1st grade. Mother is the best first teaching in the whole world which improves our learning skills; I always bear that on my mind. She incorporates a very sensible view: Use no matter works. After that, My mothers turned on the tablet that her grandson had gifted her, click the facebook icon and began browsing photos and chatting together with her granddaughter. My mother is true: Even at 80, it is never too late to find out and knowing new things. It is really good tasting protein shake and comes out very creamy. and since I haven’t done a supplement review lately here’s a quick one on one of the top-selling protein powders on the market. let me start off by saying that this is the Probiotic Series of the MyoFusion product line. The main difference between the Probiotic Series and the original formula is that this one includes a probiotic ingredient called “Ganaden BC30″ that helps support digestive health and immune system function. More on that later. To start things off, let me just say that the experience I had with this protein powder was literally like I was drinking a chocolate milkshake. I don’t really care much for taste when it comes to supplements, but with protein powders it’s a huge deal for me. Why? Because I can’t drink them if they don’t taste good! I still remember hating everything about protein a few years ago because they all tasted like crap. It wasn’t until I started drinking Optimum Nutrition’s 100% Whey Gold Standard that my view on protein supplements totally changed, so knowing that Gaspari got things right with MyoFusion’s taste is a big plus. And because MyoFusion is a protein blend, it has a really rich creamy texture to it. Even when mixed with water it was still very creamy. That’s why I definitely would recommend using a shaker cup or a blender when mixing up this drink. Don’t even bother using a spoon to stir in a cup unless you plan on sitting in the kitchen table for 20 minutes. Patented GanedenBC30 (Bacillus coagulans) Probiotic to support immune and digestive health. Features Whey Concentrate, Brown Rice Concentrate, Whey Isolate, Casein containing Milk Protein Isolate, Egg Albumin, and fast acting Whey Hydrolysate. Manufactured in a SQF 2000 facility. I have tried different protein blends before and to be honest, this can be one of the most effective ones I have tried. I’m not extremely a fan of Gaspari Nutrition because they tend to overhype almost all of their products, but the MyoFusion Probiotic Series is the one product from the company that I actually liked mainly because they are trying to appeal to the health freaks out there. That’s always a thumbs up for me. Overall I’d provide this product 4 out of 5. The only reason why I didn’t give it anything higher is because it’s made from Gaspari. So yes, I’m a little biased. THE UNIVERSITY OF SANTO TOMAS IS THE OLDEST EXISTING UNIVERSITY in Asia. In terms of student population, it is the largest Catholic university in the world in a single campus. The institution was established through the initiative of Bishop Miguel de Benavides, O.P., the third Archbishop of Manila. On July 24, 1605, he bequeathed the amount of P1,500 and his personal library for the establishment of a “seminary-college” to prepare young men for the priesthood. Those funds, and his personal library, became the nucleus for the start of UST and its library. The founding of the University of Santo Tomas followed on April 28, 1611. The original campus was located in Intramuros, the Walled City of Manila. UST was first called Colegio de Nuestra Señora del Santisimo Rosario, and later renamed Colegio de Santo Tomas, in memory of the foremost Dominican Theologian, St. Thomas Aquinas. On July 29, 1619 the Colegio was authorized to confer academic degrees in theology and philosophy. By November 20, 1645, Pope Innocent X elevated the college to a university. In 1680, it was subsequently placed under the royal patronage of the Spanish monarchy. In 1681, Pope Innocent XI declared it a Public University of General Studies allowing it to confer other degrees. In 1734 Pope Clement XII authorized the University to confer degrees in all existing faculties as well as all others that might be introduced in the future. The Pope also approved the curriculum in the entire field of jurisprudence. During the British invasion of Manila in 1762, the University raised four companies of students and professors numbering 400 men each. These saw action in battles against the British until 1764. The expulsion of the Society of Jesus from the Philippines in 1768 left the University of Santo Tomas as the only institution of higher learning in the islands. In 1785 in recognition of the role of the students and faculty in resisting the British, King Charles III conferred the title of “loyal” to the university and formally granted it the status of a royal university. On May 20, 1865, a royal order from Queen Isabella II gave the University the power to direct and supervise all the schools in the Philippines and the Rector of the University became the ex-officio head of the secondary and higher education in the Philippines. All diplomas issued by other schools were approved by the Rector of the University and examinations leading to the issuance of such diplomas were supervised by the Dominican professors of UST. On September 17, 1902, Pope Leo XIII made the University of Santo Tomas a “Pontifical University”, and by 1947, Pope Pius XII bestowed upon it the title of “The Catholic University of the Philippines”. The University of Santo Tomas is the second university in the world after the Gregorian University in Vatican to be granted the formal title of Pontifical University. The Gregorian University was allowed to assume this title in 1873. The continuing increase in enrolment prompted the administration, in 1927 to transfer the university campus from Intramuros to its present site in Sampaloc district, which covers a total of 21.5 hectares. The Intramuros campus continued to operate until its destruction during the Second World War. Since its establishment in 1611, the university academic life was disrupted only twice: once, from 1898 to 1899, during the second phase of the Philippine Revolution and the Filipino-American War, and for the second time, from 1942 to 1945, when the Japanese Occupation Forces during the Second World War converted the UST campus into an internment camp where around 2,500 allied civilians were detained. Buildings such as the Main Building, the Gymnasium and an annex building behind the Main Building called the Domestic Arts building were used as living quarters. The internees were liberated by U.S. forces on February 3, 1945. Throughout its almost 400 years of existence, The University has become the alma mater of four Filipino heroes who shaped the nation’s destiny like Jose Rizal, Emilio Jacinto, Marcelo H. del Pilar, Apolinario Mabini; Philippine Presidents such as Manuel Luis Quezon, Sergio Osmeña, Jose P. Laurel and Diosdado Macapagal; various Chief Justices of the Supreme Court, senators, congressmen, scientist, architects, engineers and writers, all outstanding in their chosen professions. It was visited by two popes, Pope Paul VI and Pope John Paul II, and various heads of states and foreign dignitaries. As it prepares for its 400th year by 2011, UST plans to establish campuses outside España Boulevard, Manila. A campus will rise in Sta. Rosa, Laguna, and another is forthcoming in General Santos City. Through these campuses, UST commits to continue to provide Filipinos with the characteristically high quality of Catholic education. THE UNIVERSITY OF SANTO TOMAS, THE PONTIFICAL and Catholic University of the Philippines, inspired by the ideals of St. Dominic de Guzman and guided by the teachings of St. Thomas Aquinas, dedicates herself to the pursuit of Truth through the production, advancement, and transmission of knowledge for the formation of competent and compassionate professionals, committed to the service of the Church, the nation, and the global community. Imperial Beach encompasses nearly 4 miles of beach including a dog friendly area and employs a year round lifeguard staff. Beach volleyball, surfing and body boarding are popular in Imperial Beach with activities concentrated north and south of the Imperial Beach Pier and the Boca Rio beach break, one of San Diego County's best surf spots. 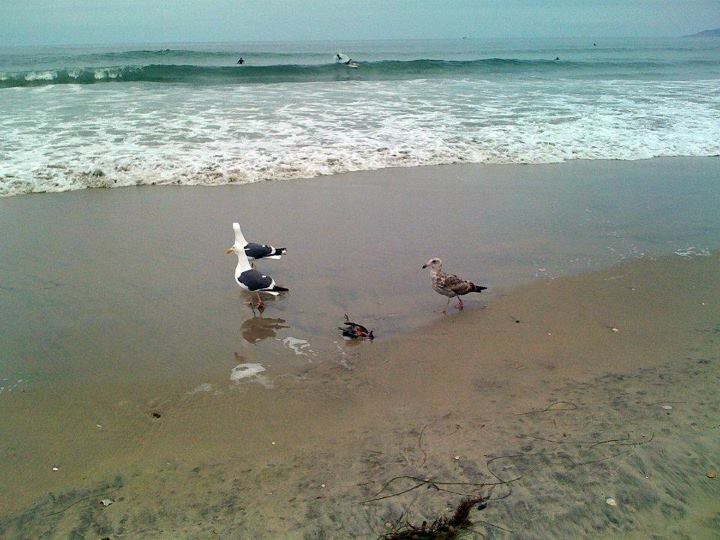 San Diego Magazine identifies the Boca Rio beach break as the second best surfing location in the county, second only to Black's Beach and the Scripps Canyon area near La Jolla. 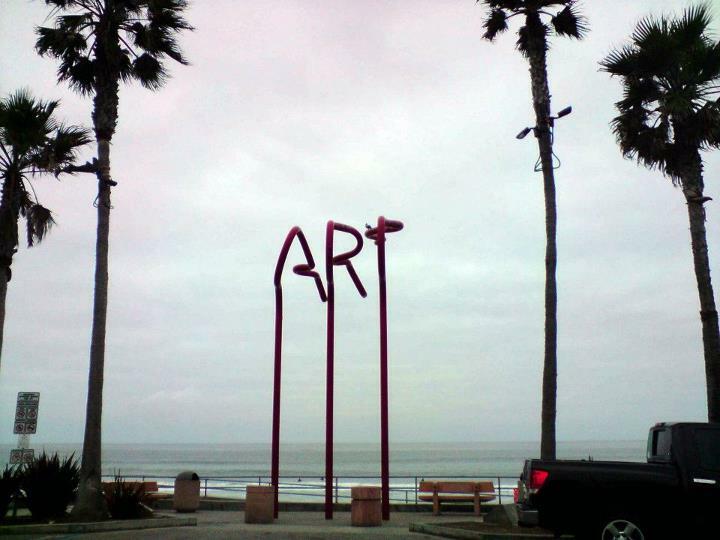 There is much to see and do in Imperial Beach from swimming or surfing at the beach, to a walking tour of public art, to a nature walk and bird watching experience at the world-renowned Tijuana Estuary or to simply relax and enjoy our beautiful sunsets. Most people who plan a vacation to Imperial Beach come to enjoy the city’s 3.5 miles of beach, which is where the annual Sandcastles Event is held in the month of July. 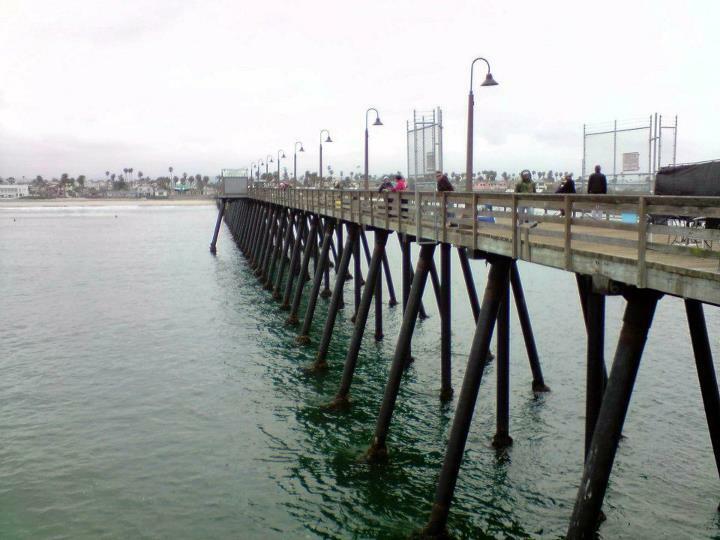 In 1989, the Imperial Beach Pier was added to the beach, and it stretches 1,853-feet into the Pacific Ocean. 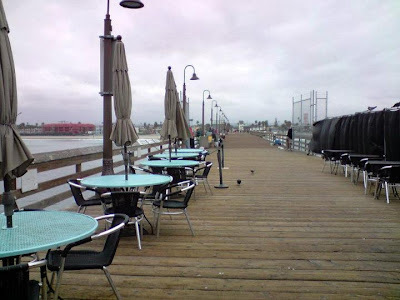 The Imperial Beach Pier is ideal for languid strolls and general sightseeing, and there is a restaurant at its far end for those who want to enjoy ocean views while dining. At the entrance of the Imperial Beach Pier is a Wyland sculpture, which helps to make the pier a featured Imperial Beach California attraction. 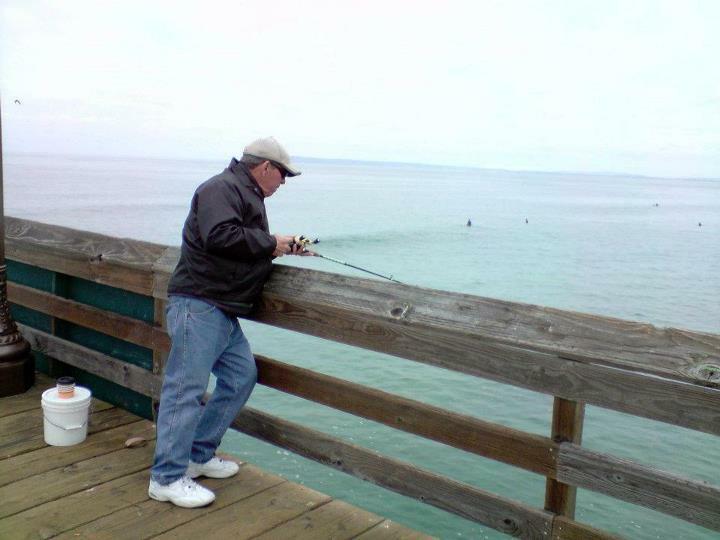 Wyland, whose full name is Robert Wyland, is a famous marine life artist who began to gain notoriety in the 1970s. His works have inspired many to embrace conservation of the creatures that live in the world’s oceans, and today the Wyland company that bears his name creates works of art that are inspired by its founder. In addition to checking out the Wyland sculpture and grabbing a bite to eat at the restaurant, those heading to the Imperial Beach Pier can also try some pier fishing, which is free.